Simon received his LL.B. from Osgoode Hall Law School in 1976 and was called to the Bar of Ontario in 1978. In 1990 Simon obtained a Masters of Laws degree specialized in Constitutional Law (Charter of Rights) from Osgoode Hall Law School. Simon taught Constitutional Law at Wilfrid Laurier University in Waterloo, Ontario for a number of years, has delivered many speeches on legal and non-legal topics to a wide variety of audiences and has, generally, been very active in a large number of community and social service organizations with an emphasis on human rights and race relations. Restricting his practice exclusively to litigation, Simon acts for individuals and small and large companies and other organizations. He has appeared successfully in all levels of the Ontario Courts of Justice and, in particular, in significant Charter of Rights and Freedom cases. His practice is concentrated on various corporate and commercial issues, insurance fraud claims, civil, commercial and contractual disputes, franchise conflicts, professional negligence, economic tort litigation, negligence claims, land title defects, construction deficiencies, mortgage enforcement, defamation claims and collection actions. Simon is also developing a practice as a mediator, particularly with respect to commercial matters and professional practice disputes. Simon is a member of the Advocates Society, the Canadian Bar Association (Ontario), the ADR Institute of Ontario and the Waterloo Law Association. He has also been a member of the Legal Aid Area Committee and the Advisory Committee on Race Relations to the Minister of Citizenship. For many years he was an active member of the League for Human Rights of B’nai Brith Canada. 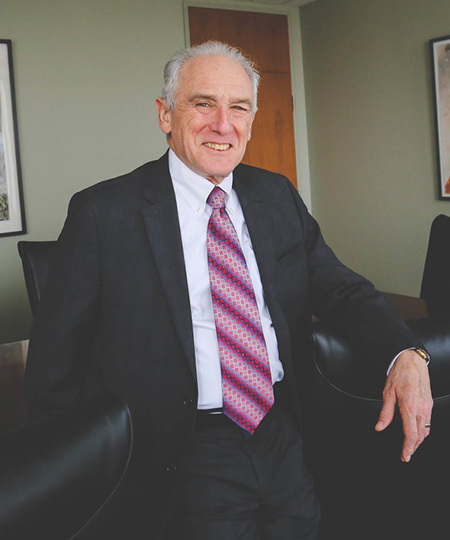 He was a founding board member of the Kitchener-Waterloo Hebrew Day School and having served in all senior positions (including President for three years), remains an active member of the Executive Committee of Beth Jacob Synagogue. Simon is married to Ruth and has two children. Primary sporting activities are squash (he is a member of the Kitchener-Waterloo Racquet Club) and hiking. Corporate & Commercial Litigation; Contract Litigation, Insurance Litigation; Real Estate Litigation; Professional Malpractice Litigation; Personal Injury Litigation; Constitutional Law; Mortgage Enforcement; Defamation Litigation; Injunctions and Restraining Orders.